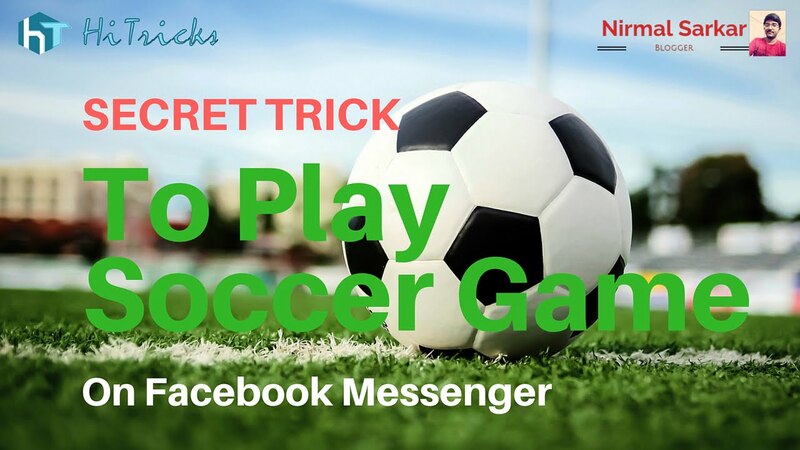 Facebook Messenger has been evolving at a faster rate these days and continuously bringing us new features and updates, the latest addition to that is a Soccer Game! Well, not actually like a regular Soccer, but it’s awesome. Whether good or bad that does not matter, I like the continuous effort they are doing to entertain us. We all like to try something new. Kudos to them! Then they brought the Basketball game for Messenger, which was both addicting as well as enjoyable. I spend hours trying to score high and beat my friends. 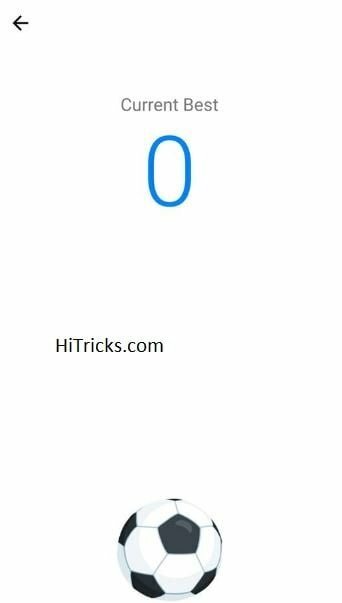 In case you want to know some of the tricks I used, you can check out this youtube video of mine. Finally, they brought the Soccer game for Messenger, which I am enjoying too. 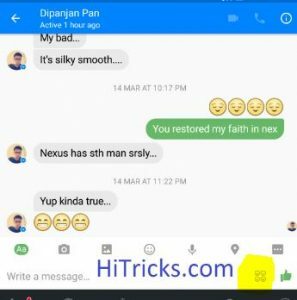 This article is about this new Messenger Update. I wrote in details how to play and score higher. Now you got another reason to challenge your friends. Though it’s a mini-game, the Soccer game is no less addicting. The most interesting thing is that it is easier to score higher points on Soccer Game than in the previous Basketball Game. 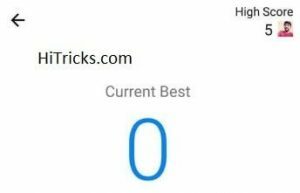 score more points in less time! This is because we have seen that in the basketball game, the speed of the basket increased after every ten baskets, thus making it hard for us to aim and shoot the ball. However, this football game has no such features. It’s as easy as Tap and Play, and you don’t have to race against time and speed. It stays the same always. As usual, you can compete with your friend in a one to one chat, or compete against all other friends in a group chat. There is a high scoring system like the Basketball Game, and you can break it and set new high scores. Well, so let’s start the game! How to Start the Football Game on Messenger? 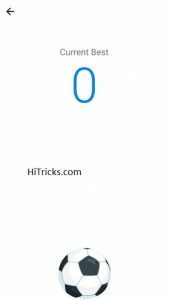 Opening the Soccer Game Screen is pretty easy, and probably you have guessed it till now. Still if you didn’t find it, go on with these steps. 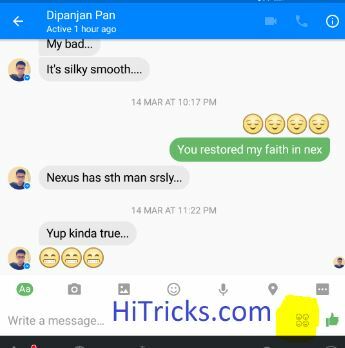 First, open up a chat in messenger with any friend. Click on the emojis icon at the left of the thumb icon. Now tap on the Football Tab of the Emoji, and then send a football emoji to your friend. 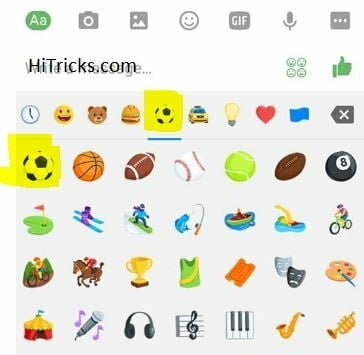 Once the emoji is sent, just tap on the football emoji to start playing the soccer game with your friend instantly. You will find this screen. Well, that’s it. Now you can start playing Soccer! 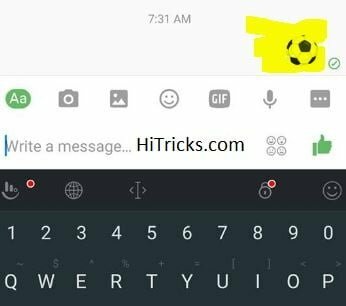 How to Play Soccer inside Facebook Messenger? Here’s How to Play the Football Game. There’s only one big rule: Just Tap! Tap to Play. Tap on the ball and keep tapping on it. That’s it. No big deal. Don’t make the ball fall. 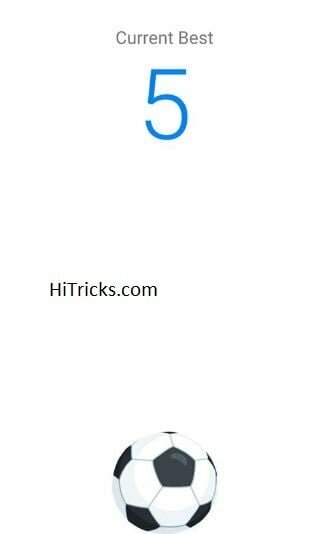 Tap it before it does so, else your game is over. You can check the high scores from the top right. So, bang on! Start Playing. And don’t forget to comment how much you scored in the game. Here’s my friend Ravi Mishra’s score. Try to beat him! Thanks for reading this post. Do share it with your friends, and challenge them to soccer games! 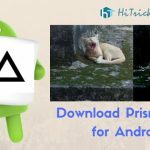 Keep visiting HiTricks for more tech updates. That’s all for now. 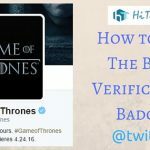 Have a look at my other posts. anybody elses game starts getting a little slow after the 50’s? or is it just my phone who’s tripping? i got 460, anyone ever beaten that?